Industrialisation is on the increase and so is the environmental pollution due to emissions and waste generated from these industries. The industrial pollution due to its nature has potential to cause irreversible reactions in the environment and hence is posing a major threat to sustainable development. Since the carrying capacity of the environment is not unlimited and some areas or ecosystems are more susceptible to adverse environmental impacts than others, the unplanned and haphazard location of industries might substantially increase the risk to the environment. Presently, regional plans that in-build environmental components and provide for industrial zones compatible to the surrounding land uses do not exist in India. Hence, the industrial entrepreneur is forced to purchase a site convenient to him and then apply for clearances. Normally, an industrial site even if is presently not in an earmarked/notified industrial land use, the land use conversion is made based on clearances from environmental aspects and other considerations, such as availability of electricity, water supply, etc. A proposed site for starting an industry is cleared from environmental angle, after reviewing its pollution potential and probable impact on the environment, by the State Pollution Control Boards and the State Environmental Committees or Site Clearance Committees. An industry cleared from environmental angle will, however, cause pollution to some extent since the discharge/emission of pollutants are permitted up to a certain amount of tolerable levels. Such tolerable levels are set based on technological and economic feasibility considerations. Furthermore, appropriate pollution control equipment provided in an industry to meet the standards, may not be performing or operating at its desired efficiency all the time which implies that there is an additional risk of pollution. The site may turnout to be either suitable or unsuitable. The present site clearance procedures also insist on carrying out Environmental Impact Assessment (EIA) for certain projects. The EIA process turns out to be a myopic assessment as the reports are several times engineered to meet the desired results. Even if an impact is found as a result of the EIA, the impacts are nullified by changing the manufacturing process or the treatment technology. However, subsequently the industry may find it not feasible to operate those modified systems. Also, an EIA is carried out considering the existing surrounding land use. The industry has no control on land use changes. If a sensitive land use comes up in the vicinity of the industry, impacts might be noticed even if the industry is meeting the required standards. Also, EIA is lengthy procedure besides being expensive and, in addition, is proving to be a set back in fast and realistic decision-making process. Due to lack of land use controls around the industrial sites, areas/uses sensitive to pollution come up in the vicinity of the industrial areas. The impacts, which are mainly depending on the distances to the receiving environment, are noticed due to such uncontrolled land use changes. Adoption of strategic EIA region-wise is being considered appropriate rather than site-specific or project-specific EIA. The entrepreneur has no knowledge of the environmental conditions and consequences of his industry which depends on the site selected. He may land up investing in an environmentally extremely sensitive site and consequently might find it difficult in getting clearance from the regulatory authority. Depending on the location specificity, an industry may have to provide more elaborate and costlier pollution control equipment to meet more stringent standards than those permissible, in order to avoid adverse impacts caused by extreme site sensitivity. The pollution control equipment provided by an industry may not perform efficiently and with reliability because of factors beyond control and hence there is a risk of pollution. Due to scattered industrial development, combined treatment or disposal facilities, that may be much more economical and effective than providing facilities by industries individually, cannot be provided. Pollution control programmes cannot be planned effectively with perspective due to haphazard development. Also, decision making becomes difficult due to unplanned development. Due to increasing public awareness on environmental aspects and due to the risks involved in isolated location, an industry is under pressure for compliance with stringent standards and the regulatory authorities are forced to take up immediate action. Environmental planning is a proven tool for reducing the impacts from such risks. However, this tool has seldom been used in this country. Proper siting of newly planned industries and industrial estates is a strong pollution preventive instrument that ensures environmental soundness of the industrial development. It is the site that ultimately determines which water bodies might be affected by effluent discharged by an industry, which air-shed might be affected by air pollutants or which ecosystems might be harmed. Site selection based on environmental criteria with the objective of minimising adverse environmental impacts is, therefore, a vital prerequisite. For long, experts in the field of environment have been discussing about 'carrying capacity of the environment', 'sustainable development', 'natural resource accounting' etc. so as to find out a mechanism for protecting our environment, before it is too late. Efforts are also being put up by various technical and scientific organisations and institutions in the country in this line. Owing to the multiplicity and complexity of variables involved, environmental planning in its totality in a vast country like India, is not an easy task. But there is a need for planned development. The Central Pollution Control Board (CPCB) has decided to build up the tool of environmental planning, in phases for the protection of the environment. The most immediate need is to properly site industries so as to reduce the risks of pollution and to protect the environment. There is also a need to simplify and support decision-making process on site clearance for locating an industry. CPCB had prepared industrial siting guidelines for the Union Territory of Pondicherry in, as early as, 1988 and subsequently similar guidelines were prepared for Hassan District of Karnataka in 1992 under the Indo-German bilateral programme. The results from these studies have been encouraging, emphasising the need for conducting such programmes at national level. 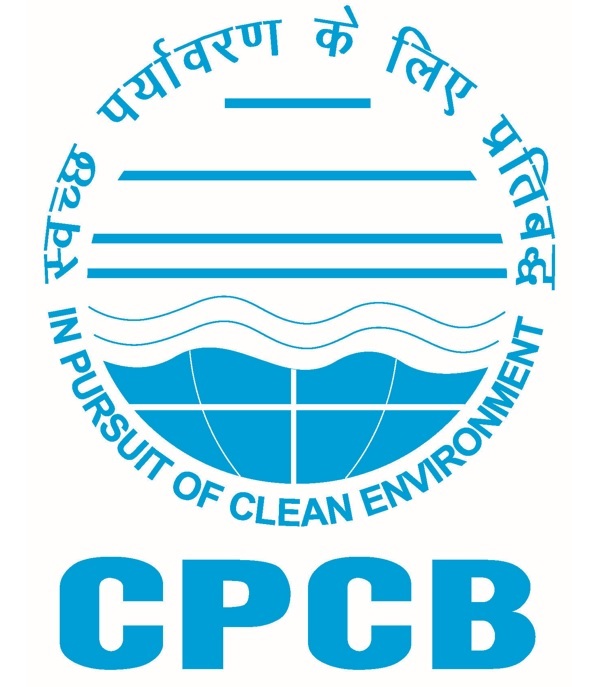 CPCB in consultation with the State Pollution Control Boards (SPCBs) decided to prepare 'Zoning Atlas for Siting of Industries', based on environmental considerations, District-wise, throughout the country. The Zoning Atlas for siting of industries zones and classifies the environment in a District and presents the pollution receiving potential of various sites/zones in the District and the possible alternate sites for industries through easy-to-read maps. to identify industries suitable to the identified sites. The Zoning Atlas considers only the environmental aspects. For siting of industries, both the economic factors, such as availability of raw materials, market for finished product, water supply, electricity, labour availability etc., and the environmental factors are to be considered. Assuming that the industries are the best in identifying the sites best suitable from economic considerations, the Zoning Atlas is deemed to address the environmental considerations, the industries may subsequently evaluate the site suitability from both the considerations. The limitations of the Zoning Atlas are discussed in the last section (10.0). Consideration of economic factors maximises profits over a short period but consideration of environmental factors minimises liabilities over a longer period. Due to increasing pollution, the environmental standards are being made more and more stringent with time. The costs of pollution control investments on the industry are tremendously increasing, sometimes posing a great burden on the industry and adding to the risks of closure by the regulatory authorities. A situation is arising, where the costs due to environmental considerations are more than the economic considerations. Preparation of the Zoning Atlas based on environmental considerations is, hence, relevant and justified. Restriction of growth of certain industries in specific areas. For location of an industry, economic factors, such as availability of raw materials, water supply, electricity, labour etc., and the environmental factors are to be considered. Although industry knows the best suitable location from economic considerations, it may not be aware of its implications from environmental protection angle. From the Zoning Atlas, an industry can find out the suitable locations in various Districts of a State and then work out feasibility or economic viability of commencing its operations in these locations. Accordingly, a decision can be taken on the best suitable location. Plan in advance requirements of manpower, monitoring instruments and laboratory facilities, budget etc. in the Regional/Zonal offices of the State Pollution Control Boards for environmental regulations. The public through the Zoning Atlas, will know the locations of industrial development, the type of industries that are likely to come up and the anticipated pollution in their neighbourhood. They can decide on the acceptability of such a development even before an industry actually comes up. This eliminates apprehension against forcing pollution on them.